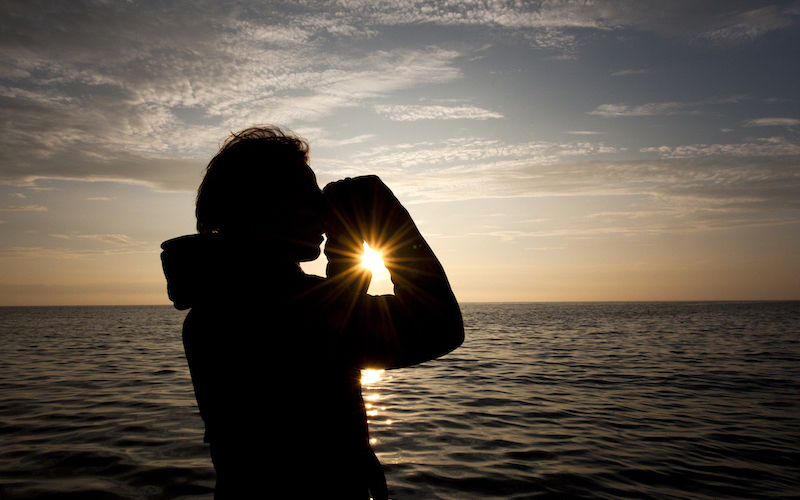 Join us on Sweden’s first whale safari! In the sea around Kullaberg, you can often spot the porpoise – a small toothed whale that looks like a dolphin. See our porpoises close up and marvel at the fantastic Kullaberg scenery with alluring coves and mysterious caves from aboard our RIB. In the sea around Kullaberg, you can often spot the porpoise – a small toothed whale that looks like a dolphin. See our porpoises close up and marvel at the fantastic Kullaberg scenery with alluring coves and mysterious caves from aboard our RIB. About 1h boattrip 1,5h for the full activity. Experience Kullabergs magical coastline in the evening light, Enjoy the tranquility at sea and often the wind has died down, making it easier to spot porpoises. 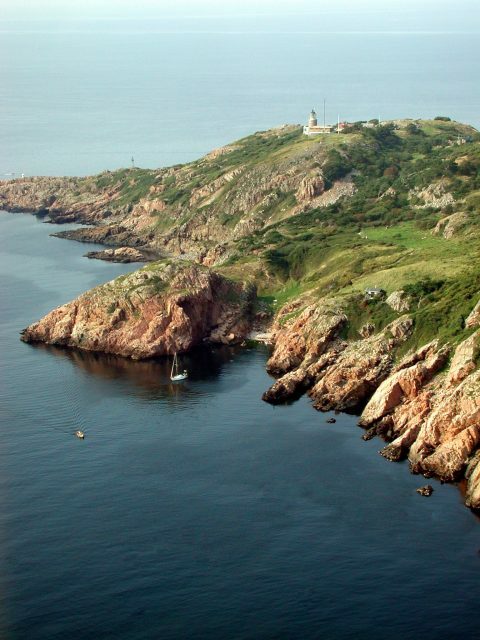 A fantastic tour that assumes Mölle harbour. 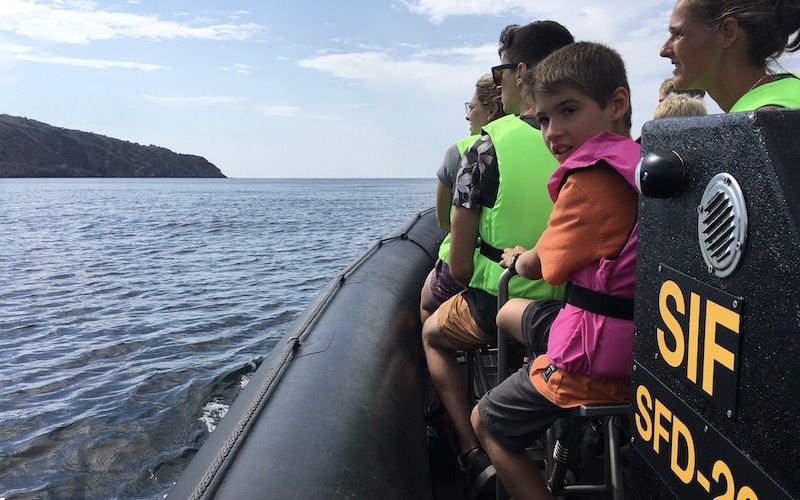 This tour is also suitable for those who are disabled as it is very easy to get to and into the boat from Mölle. About 1,5h boattrip 2h for the full activity. Same as our ordinary Whale Safari but here we also go away to the artwork Nimis and the ”country”Ladonien. You will hear all the fun stories of the building and on the way we pass also some of Kullabergs most beautiful places like the Gate, Bird protection area for peregrine falcon and Söftingsgrottan, Kullabergs deepest cave. An absolutely fabulous trip. Kullabergsguiderna is eco-certified by Nature’s best. We believe that showing and informing the public about these amazing mammals will lead to more protection. We try to affect the environment as little as possible and follow international whale safari guidelines. Our boat is a modern four stroke outboard motor combined with a lightweight RIB-boat for lox carbon dioxide emissions. When is the best time to spot them? It’s been fairly distributed over the year, even though June and July seem to be the best months. Also evenings are better than in the day. Wear clothes according to the day’s weather but remember that it’s colder out on the water. We recommend an extra jacket. We do recommend to book beforehand since the boat only has 12 seats and the tour often is sold out. Normally a few days ahead should be enough though. How difficult is it to walk to the boat? The descent to Paradise Habour is partially steep. Stairs and ladders are provided in some places. The last 20m you have to walk over the cliffs. The guide will assist you at all times. The walk is about 600m long and has an altitude difference of 60m. 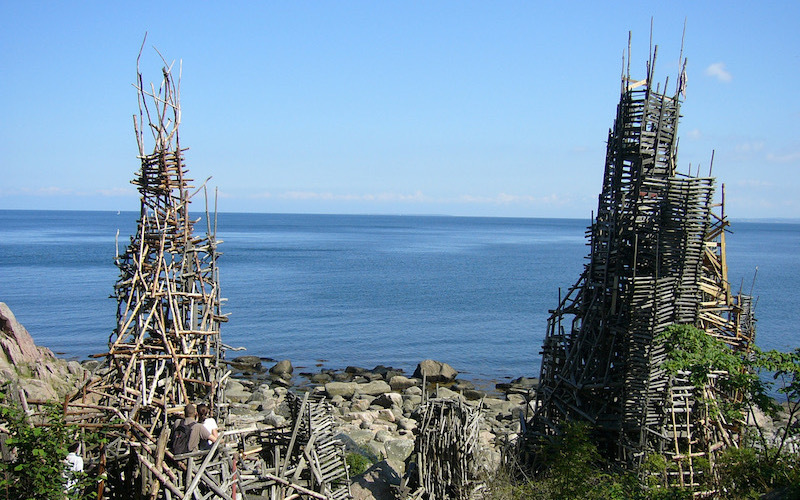 If you’re worried about the descent, choose the evening tour which starts in Mölle habour. What happens if we don’t see porpoises? Since they are wild animals, we can’t guarantee to spot them. Most of our guests who didn’t get to see them are satisfied anyway. You will get a fun boat ride and see the wild nature of Kullaberg. When will the safari be cancelled? We only cancel tours due to bad weather conditions. When the wind comes from the west or the northwest, the sea is too rough to go out. In that case we will contact you via phone and you will either get a refund or chose another day. We don’t have any age restrictions, but we recommend to not take toddlers under the age of two. Keep in mind that the path to Paradise harbour isn’t suited for strollers. Do we provide life jackets? Yes we do, starting from 10kg. How close do the porpoises come? It happens that the porpoises swim close to the boat, but usually they stay 20m away. What other animals are there to spot? Sometimes we see seals that come over hunting from the surrounding islands. There are many seabirds and if you’re lucky you get to see the Peregrine falcon.